MHT CET 2019 Application Form is available from 01 January 2019. 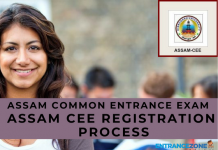 Maharashtra Common Entrance Test is also known as MHT CET. Directorate of Technical Education, Maharashtra will conduct MHT CET 2019. The application form will be available from 2nd week of January 2019 and the last date to fill the admission form will be in 1st week of April 2019. It is a state level entrance examination. Through this exam, candidates will get admission in engineering & technology, health sciences & pharmacy courses offered in various colleges of Maharashtra. Read the article below to get all the necessary details relevant to MHT CET 2019 Application Form. The following steps are needed for online application form filling. Candidate must have an email id( optional). Every candidate must make sure they meet the eligibility criteria for their MHT CET 2019 Application Form to be accepted and processed. The candidate must need to fill in the following details and get more details at mh cet official website. All the information that the candidate provides must be genuine and true. If found false, the application will be terminated and will be treated as an act of misconduct. It is also advised to upload a recent photograph which is passport size and no older than 6 months from the date being uploaded. Read the information brochure carefully here. Maharashtra Engineering Test Online Application Form. The application form fees can be paid through the online system only. Such as Internet Payments, Credit Card/ Debit Card (RuPay/Visa/MasterCard/Maestro), Internet Banking, IMPS, Cash Cards, etc. Also, No other mode of payment is permitted. Furthermore, the candidates should note that the fees once paid is non-refundable and non-transferable under any circumstances. Read about eligibility criteria before proceeding for an application form. After filling in the form a unique number will be assigned to each candidate’s application. They are advised to note the application number and make the fee payment for the same through the mode of bank challan. 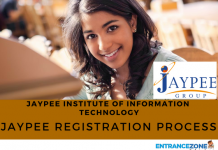 The fee for MHT CET Application Form 2019 for the general category is 800 and that for the reserved category is 600. An extra Rs. 60 is to be paid as bank challan. The challan can be generated from any branch of State Bank of India. Once the payment is done, the last step if filling in this challan details using your application number as a password. Yet, the fee for the general category is Rs.800 and that for the reserved category is Rs. 600. An extra Rs. 60 is to be paid as bank challan. The challan can be generated from any branch of State Bank of India. And, once the payment is done, the last step if filling in this challan details using your application number as a password. That’s all that will be needed while filling out the online application. Also, If any changes in the application format are made, the same will be made public by the DTE. Therefore, it is advised to keep checking the website regularly. 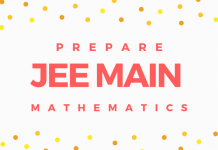 Aspirants can check the eligibility criteria to appear in Engineering entrance exam. 1. Nationality The aspirant must be a citizen of Indian. 2. Domicile Candidate holds domicile of Maharastra. 3. Age Limit There is no upper age limit to apply. 4 Qualifying Exam The candidates must hold class HSC/12th certificates from a recognized board. 5. Subjects Candidate must be passed with physics and mathematics along with one of the chemistry/biotechnology/biology/technical/vocational subjects in the qualifying exam. Finally, For more details about MHTCET 2019 click here. Stay tuned for more updates regarding MHT CET 2019 Application Form. 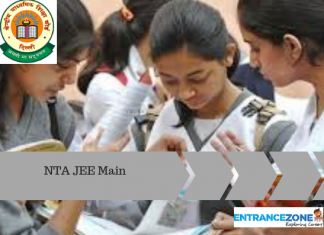 mht cet 2019 application form date, mht cet 2018 application form, mh cet 2019 application form official website, mht cet 2019 syllabus, mht cet 2019 exam date, mh cet 2019 mba, mh cet 2019 official website, mh cet 2019 registration. Previous articleHow to fill LPUNEST 2019 Application Form?